This is 8.5 x 11 on 140 lb cold pressed watercolor paper. The moss is painted with layers of watercolor and gouache. 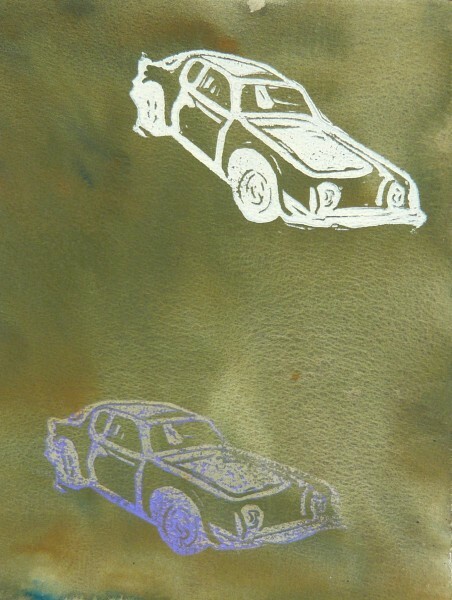 The cars are printed in Speedball block printing ink. Only single print, not a multiple. Signed on back.